CASH WITH ORDER UNLESS CREDIT FACILITIES HAVE BEEN EXTENDED TO BONA FIDE CUSTOMERS – IN SUCH A CASE PAYMENT MUST REACH US WITHIN 30 DAYS FROM PUBLICATION DATE. DELAYS WILL JEOPARDIZE CREDIT RATING AND FUTURE BUSINESS. No other local medium in town comes close to matching The Island Sun market penetration. 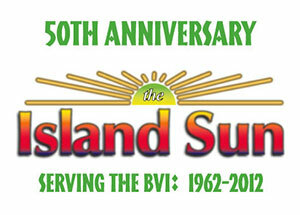 No matter what you need to advertise, The Island Sun delivers results!! The submission of an ad for publication in The Island Sun is considered a warranty by the seller that all items offered are genuine, usable and conform to the ethics of fair trade. All advertising is submitted subject to the publisher’s approval. The Island Sun and its publisher are not liable for any loss of revenue or expense incurred by the advertiser for erroneous or unpublished advertising. The publisher reserves the right to edit, suspend, refuse or cancel the publication of any ad at any time, without notice. Advertiser is fully responsible for all contents (including illustrations and artwork) of ads and is also fully responsible for any claims arising therefrom made against the publisher. Advertiser must furnish typewritten copy or camera-ready copy. Artwork, separations, negatives, films, slides, camera-ready copy, copy, photographs, reproductions, concerning any ad will not be returned to the advertiser or advertising agency. No exceptions made. Size of advertisement may be subject to small variations without notice. Special positions, if and when available, only with contracts of six consecutive issues or more. Position of color ads is based solely on publisher’s technical and production needs and cannot be negotiated with the advertiser. All agreements are subject to strikes, accidents, fires, acts of God or other contingencies and emergencies beyond the publisher’s control. Verbal agreements are not recognized. All advertising accounts are payable on receipt of invoice. Special terms will take the form of a “contract” only. Any dispute as to the meaning or operating of these Policy, Regulations and Terms shall be determined conclusively by Sun Enterprises (BVI) Ltd. Publisher of The Island Sun Newspaper. 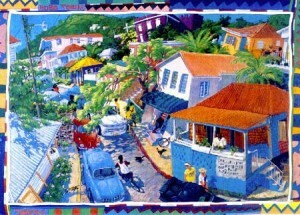 The advertiser unconditionally agrees that in case of legal dispute the only competent forum is the British Virgin Islands Magistrate Court and Jurisdiction. The submission of an ad for publication is considered full acceptance of these Policy, Regulations & Terms by the advertiser and/or his/her advertising agency.